Management of complex ecosystems is a difficult process that involves multiple factors and stakeholders. In most cases, the interactions of these factors and stakeholders’ trade-offs are not considered quantitatively in the design and management of ecosystems. To address these issues mental modeling is useful for eliciting stakeholder objectives and preferences in order to evaluate preliminary knowledge about structure and function of complex ecosystems. This is advantageous for ecosystem analysis, modeling, and management. Here, we provide an assessment of stakeholder preferences and mental models for the case study of a large-scale watershed in Costa Rica composed by two rivers basins and one wetland. Trade-offs are related to water management in relation to ecological, agricultural, energy, and tourism endpoints that are affected by potential sets of dam and canal configurations. 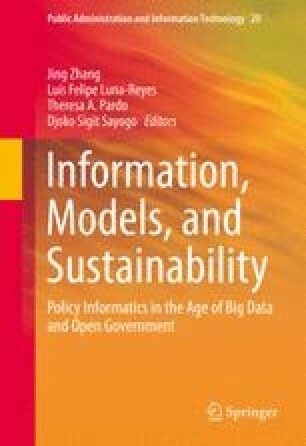 We apply and further develop a network-based model for stakeholder text analysis. Our innovation is the introduction of Network Complexity (NC) as a metric to characterize the inferred influenced diagram and to monitor the variation of such diagram under perturbations in socio-ecological factors provided by stakeholders and related to ecosystems. Perturbation effects—innovatively determined and assessed by global sensitivity and uncertainty analyses may reveal fundamental factor importance and interactions of ecosystem factors and ecosystem resilience. The derived influence diagram can be considered as the mental model of stakeholders because its construction is based on the direct elicitation of stakeholder preferences and objective in ad hoc workshops organized for this study. The decision analysis-based mental modeling approach allows a transparent and participatory decision-making concerning ecosystem management. The approach facilitates the identification and balance of trade-offs among stakeholder groups. Thus, it is coherent with the sustainability paradigm that includes social factors into the analysis, design, and management of complex systems. Funding from the NSF U.S.-Costa Rican Workshop: “Interdisciplinary workgroup on water sustainability in the Tempisque Basin, Palo Verde NP, Costa Rica” (April 2012) are gratefully acknowledged.